When the statuesque Cynthia Thomalla won the Miss Eco International title in Egypt last year early in the morning of the day that the Aliwan Fiesta grand parade was to take place, officials of Manila Broadcasting Company could not contain their excitement. Cynthia, after all, had been a very proactive Reyna ng Aliwan in 2016, the first of their queens to grace numerous regional festivities throughout her reign. Cynthia set the standard in terms of being a true ambassadress of goodwill and tourism, and has in fact, continued to be part of the MBC family despite her busy schedule. But even before Cynthia showed guts and oomph in reclaiming the Reyna ng Aliwan crown which Cebu lost in 2015 after a six-year winning streak, and eventually taking a national pageant by storm as a prelude to winning her international title, numerous Reyna ng Aliwan winners had already been catapulted to the limelight of the beauty pageant circuit. ALIWAN'S PRIDE. 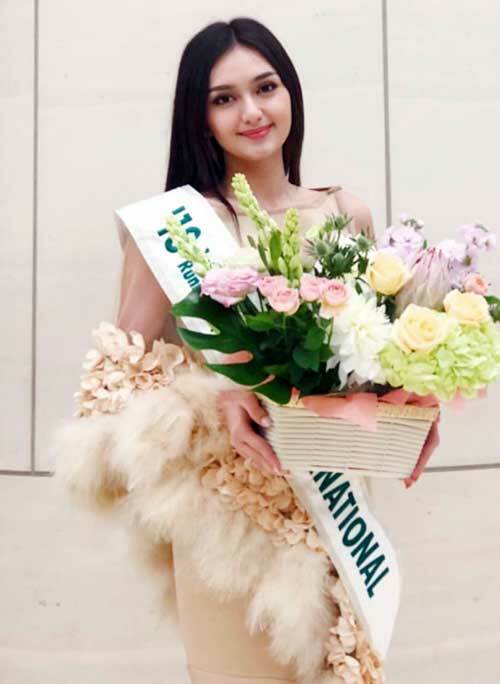 Reyna ng Aliwan 2016 Cynthia Thomalla, who eventually won Miss Eco International 2017 in Egypt, has set the bar in terms of being an ambassador on goodwill and tourism. Vera Eumee Reiter won Mutya ng Pilipinas in 2006, while her first runner up Karla Henry went on to claim the first Miss Earth crown. Mary Jean Lastimosa was named Reyna ng Aliwan in 2008 prior to training for Bb. Pilipinas. Rizzini Alexi Gomez (Reyna 2010) and Angeli Dione Gomez (Reyna 2012) then scored back to back wins in the Miss Tourism International derby. Rogelie Catacutan (Reyna 2011) went on to win Bb. Pilipinas Supranational, while Jamie Herrell (2013 Reyna) was eventually crowned Miss Earth in 2014. Cynthia Thomalla’s win actually set the tone for two more fabulous showings by former Reyna ng Aliwan hopefuls in 2018 when Ma. Ahtisa Manalo (2017 second-runner up in Reyna ng Aliwan) emerged first runner up in the Miss International pageant in Tokyo, and Sharifa Akeel, who, as the Kalimudan festival queen in last year’s Aliwan, was handpicked for a special feature by BBC World Service Radio prior to her winning the Miss Asia Pacific International title. So, when 24 lovely young ladies from various parts of the country take to the Aliwan Fiesta stage on April 26 and 27 this year, all eyes will be on this pageant which is now considered the springboard for opportunities in the pageant and modeling world. This year’s roster from Luzon includes Kimberly Naz for the Antipolo Maytime festival, Erginia Vera Bautista for the Banatu festival of Cabanatuan City, Lyka Veleña for the Boling-Boling festival of Catanauan, Quezon, Gezza Avila for the Niyogyugan festival of Quezon Province, Roi Neve Comanda for the Panagbenga festival of Baguio, Cinderella Salilican for the Pangisdaan festival of Navotas, Jhan Nicole Ambata for the Paru-Paro festival of Dasmariñas, Cavite, Aubrhie Cindyrelle Carpio for the Singkaban festival of Bulacan, Kizia Jermaine Maligalig for the Tagultol Fishing festival of Atimonan, Quezon, and Leandrea Gabrielle Batingan for the Tanglawan festival of San Jose del Monte, Bulacan. Visayan pulchritude has seven faces this year, with Nicole Borromeo for the Sinulog festival of Cebu, Milca Romares for the Salapan festival of Pulupandan, Negros Occidental,Cassandra Marie Lee for the Sangyaw festival of Tacloban City, Angelic Olmedo for the Pintados de Passi festival of Passi City, Iloilo, Charlotte Arcena for the Pasaka festival of Tanauan, Leyte, Ruffa Nava for the Hirinugyaw Suguidadonay festival of Calinog, Iloilo, and Debrah Belen Villaflores for the Buglasan festival of Dumaguete, Negros Oriental. Mindanao in turn will be represented by Alayzza Izzabelle Tolimao for the Agten Tufi festival of Tupi, South Cotabato, Ma. Kristina Ramos for the Cocowayan festival of Isabela, Basilan,Honey Be Parreñas for the Kalimudan festival of Sultan Kudarat, Angelin Summer Fernandez for the Kalivungan festival of North Cotabato, Frenzie Dione Escalada for the Muna To festival of Sarangani, Merhyl Kit Angeline Paraluman for the Tuna festival of General Santos City, and Princess Serdenia for the Zamboanga Hermosa festival. The 2019 Aliwan Fiesta is supported by Pride Detergent, Unique Toothpaste, White Rose Cojic Whitening Soap, Smart Dishwashing Paste, Star Wax, Tanduay, TM, Dunkin’ Donuts, Symdex D, Asian Institute of Computer Studies, Senekot, GES Led Lights, Whiteflower, and Nature Spring Mineral Water. For details about this year’s participants and line-up of activities, email [email protected] or call 832.6125 / 555.3477. Those interested may also check out Aliwan Fiesta 2019’s official Facebook page or log onto www.aliwanfiesta.com.ph. Who will be 2016 Aliwan Fiesta Queen?